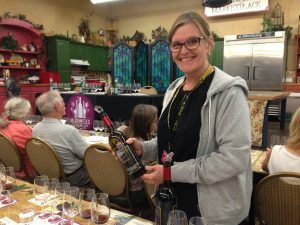 Last week, I attended a wine education class at the LA County Fair in Pomona for Award Winning Wines of Southern California. 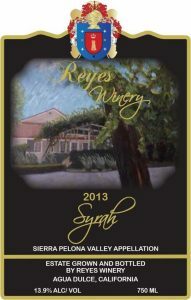 They presented our 2013 Syrah which won a silver award. 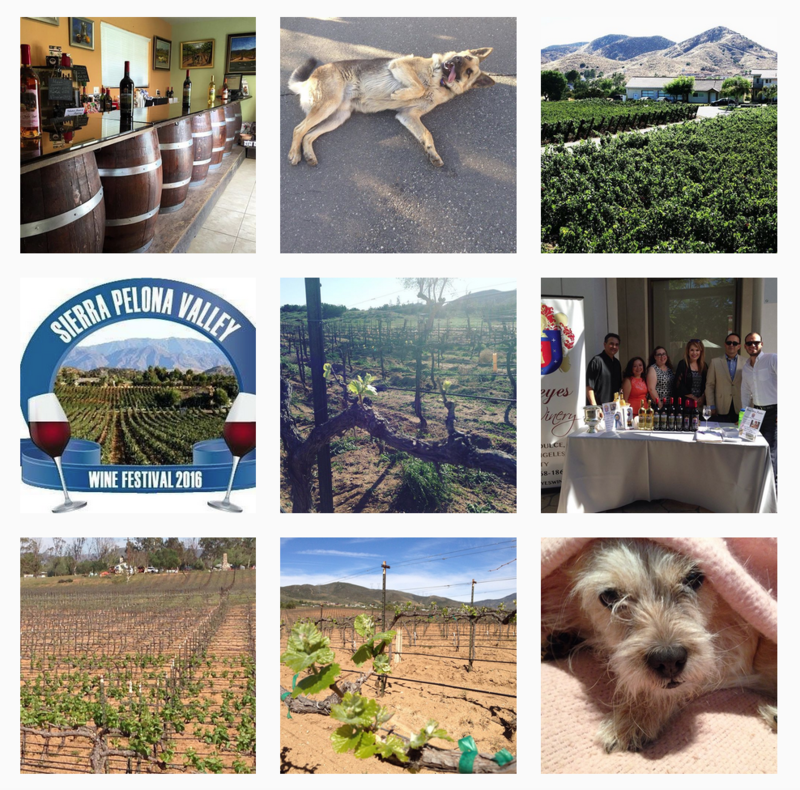 I was so excited to be there and experience a class which I attend every year that had one of our wines. This was the first time we were included in this class or for that matter any class. As I waited in line, people kept looking at me and I kept turning behind me trying to figure out what or who they were looking at. Then again when I was seated, the judges that were on stage were commenting about someone in the audience. I thought they were talking about the person in front of me, and then the person in front of me commented it was me. The person checking in people told everyone that I was a representative of the #4 wine they were trying tonight. They asked me to stand up and share a little about us. We started with a Pinot Grigio from Temecula. It was citrusy and crisp. It was ok, but I will say our 2016 Pinot Grigio was much better. The wine from Temecula needed more complexity. It was missing a bit of umpf. It made me think it was not quite ready to be enjoyed yet. The second wine was a Rose of Zinfandel, basically a white Zinfandel. 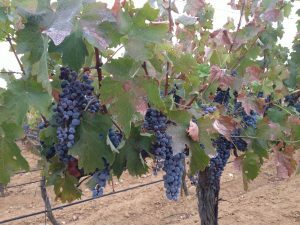 The grapes were grown at Cal Poly Pomona. It was a dry, with a light aroma. I prefer to have bold and fruity aromas for a rosé. The third wine was from Ferragamo Winery. Vince Ferragamo, a NFL quarterback for the Los Angeles Rams 1977-1984 has a vineyard in Orange County which he makes super Tuscan wine which won a gold medal. He spoke about his wine and then he introduced me. I made my way up to the stage, and the judges thought our 2013 Estate Syrah was one of the best wines they have had. And if I do say so myself it was definitely the best wine of the night. Even Vince Ferragamo said our wine was amazing. He commented he wanted to come up and visit. I am looking forwarded to it. I shared where we are located in the Santa Clarita Valley. Plus, I mentioned that morning I harvested our Cabernet Sauvignon grapes from 6am-11am, before heading to the fair. It was our first day harvesting the Cabernet and we would continue on Friday then finish on Saturday. In 2016, we harvested 1 ton of grapes for 5 acres. This year, we were very fortunate to get 5 tons. The rain we had has really helped a lot. In a perfect world, we should actually get 3 tons per acre. Hopefully there will be lots of rain this winter, so that next harvest we can get even more than this year. According to the Farmer’s Almanac, it says we are in for a wet winter. If that is so, I will be looking forward to a better 2018 harvest. The last two wines they served were ports from two different wineries in Rancho Cucamonga. The first one was extremely sweet. The second one was also sweet, but I liked it much better. Plus they paired it with blue cheese and when you put a bite of cheese on your tongue then taste the wine and swallow together, it made it less sweet and delightful to enjoy.